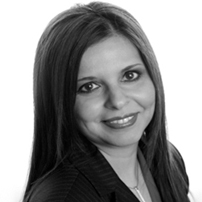 Jenny is President of Gulamani-Abdulla & Co., Immigration Consulting. She holds a Bachelor of Arts in Philosophy from University of Calgary, Canada where she was recipient of the Distinguished Alumna Award. Jenny received her Juris doctorate from the United States of America, is a member of the International Bar Association, and a Registered Canadian Immigration Consultant. With over two decades of professional work experience, Jenny is equipped with the latest information on Canadian immigration law. She leads a team of professionals to diligently respond to the needs of a diverse group of clients worldwide. Named “One of Canada’s Most Powerful Women” by the Women’s Executive Network, Jenny has made outstanding contributions to advance equality for women and girls. She serves on the legislation committee at the International Federation of Business and Professional Women which holds Consultative One Status at the United Nations and is President of the Canadian Federation.